Ménière’s disease, also called endolymphatic hydrops, is a disorder of the fluid balance in the inner ear. Its cause is unknown, but it is one of the most common reasons for dizziness originating in the inner ear. Often, only one ear is involved, but both ears may be affected in from 15 to 50 percent of patients. Ménière’s disease typically starts between the ages of 20 and 50 years. Women appear to be affected slightly more often than are men. The classical symptoms of Ménière’s disease are episodic rotational vertigo (attacks of a spinning sensation), hearing loss, tinnitus (a roaring, buzzing, or ringing sound in the ear), and a sensation of fullness in the affected ear. Tinnitus and fullness of the ear in Ménière’s disease may come and go with changes in hearing, occur during or just before attacks, or be constant. There may also be an intermittent hearing loss early in the disease, especially in the low pitches, but a fixed hearing loss involving tones of all pitches can develop in time. Loud sounds may be uncomfortable and seem distorted in the affected ear. Of all the Ménière’s disease’s symptoms, vertigo is usually the most troublesome. It may last for 20 minutes to two hours or longer. During vertigo attacks, patients are usually incapacitated and unable to perform activities normal to their work or home life. Dysequilibrium or imbalance and generalized tiredness may follow for several hours and even days. The symptoms of Ménière’s disease may be only a minor nuisance, or can become disabling, especially if the attacks of vertigo are severe, frequent, and occur without warning. If the hearing loss becomes permanent, patients are often debilitated by the attendant tinnitus or head noise, which can be constant and unremitting. these problems in certain cases. When the history has been completed, diagnostic tests will check your hearing and balance functions. 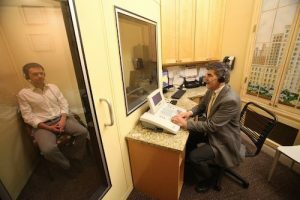 They may include hearing tests (audiograms, otoacoustic emission tests (OAE), auditory brainstem response tests (ABR)) as well as special tests of inner ear balance and fluid function (Electronystagmography (ENG), electrocochleography (ECoG), and vestibular evoked myogenic potential (VEMP)). An MRI scan may be ordered, especially if the disease is one-sided. The final diagnosis of Ménière’s disease is made based on history, physical examination, audiovestibular testing results, as well as response to treatment. A low salt diet and a diuretic (water pill) is usually the first line treatment and will reduce the frequency and severity of attacks of Ménière’s disease in many patients. 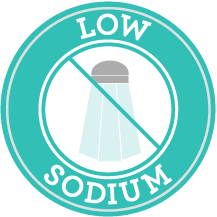 In order to receive the full benefit of the diuretic, it is important that you restrict your intake of salt and take the medication regularly as directed. Anti-vertigo medications, e.g., Antivert® (meclizine generic), or Valium® (diazepam generic), may provide temporary relief, and are to be used only during vertiginous attacks, as both anti-vertigo and anti-nausea medications may cause drowsiness and delay proper recovery. Avoid caffeine, smoking, and alcohol. Get regular sleep and eat properly. Remain physically active, but avoid excessive fatigue. Stress may aggravate the vertigo and tinnitus of Ménière’s disease. Stress avoidance or counseling may be advised. In cases of bilateral Ménière’s disease, you will be advised to undergo detailed evaluation for food and other environmental allergies. If you are found to have such allergies, avoidance or other treatment will result in dramatic reduction of your Ménière’s symptoms. If you have vertigo without warning, you should not drive, because failure to control the vehicle may be hazardous to yourself and others. As such, you may have to forego ladders, scaffolds, and use of heavy machinery until your Ménière’s disease is under better control. Eighty to 85% of patients’ symptoms are controlled for long periods of time with dietary modifications and medication. Only fifteen to 20% of patients will need more aggressive interventional therapy, as described below. If vertigo attacks are not controlled by conservative measures and are disabling, one of the following surgical or interventional procedures might be recommended: Intratympanic treatment, also known as chemical labyrinthotomy, is an office procedure in which a medicine, such as steroid or gentamicin, is injected into the middle ear. Gentamicin is an antibiotic that causes a partial loss of balance function in the treated ear, controlling vertigo in about three fourths of cases and usually preserving hearing. Apart from a period of disequilibrium that can occur as the patient adjusts to the new level of balance function, this treatment is usually very well tolerated. It is also significantly simpler and less invasive than other surgical treatments. Steroid injection is discussed in detail under SSNHL. The endolymphatic sac shunt procedure is an ear operation that is usually preserves hearing. Attacks of vertigo are controlled in three-quarters of cases, but control may not be permanent in all cases. Patient satisfaction with this procedure is 92%. Postoperative recovery time is short and straightforward. Selective vestibular neurectomy is a procedure in which the balance nerve is cut as it leaves the inner ear and goes to the brain. Vertigo attacks are permanently cured in a high percentage of cases, and hearing is preserved in most cases. This procedure involves a craniotomy (opening into the skull), and is performed by Dr. Kohan in conjunction with a neurosurgeon. Labryrinthectomy and eighth nerve section are procedures in which the balance and hearing mechanism in the inner ear are destroyed on one side. This is considered when the patient with Ménière’s disease has poor hearing in the affected ear. Labryrinthectomy and eighth nerve section result in the highest rates for control of vertigo attacks. If you have any questions about Meniere’s Disease or treatment please feel free to call Dr. Kohan’s office for an appointment (212) 472-1300.